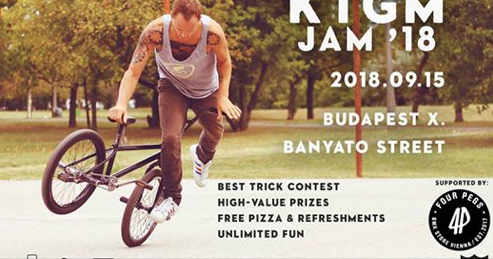 One week after the Fise contest in Budapest it’s time for the annual KTGM jam in Budapest. “The spot is huge, ~3500m2 in a fascinating green environment. On Saturday afternoon we will hold a best trick contest with high-value prizes supplied by Four pegs BMX.